A termite control service and proofing needs a professional. We are here. Termite control and treatment should be taken seriously if you are to protect your property. Of all the pests known to man, termites present the most danger to humans. They destroy property worth millions of dollars. Most people build houses without even taking important measures to prevent a future termite attack. They do not know it is important to do pre-constructional termite proofing which is an exercise done when building your house. Even if they do, they do it inappropriately or use over-the-counter chemicals that will not achieve any protecting against termites in the long term. Therefore, homeowners or individuals need to take termite control very seriously. Once termites target your house foundations, walls, roof, ceiling and beams, establishing a network of tunnels and nests, in most instances you won’t suspect anything until it is too late. Termites will only rise to the top where they are seen when the damage is in a difficult and expensive stage for you. You would not want it to be like that. There are over 15 known species of termites in Zimbabwe. Worldwide figures stand at 2 600. With this huge number, new types are even being discovered all the time. Termites live in colonies and they are organised creatures. Each member performs a specific job. In a typical caste system, we have workers, soldiers and the reproductive queen. The workers make up the largest number of individuals within a colony and they do most of the work. The solders defend the colony against invaders and the queen is responsible for producing members. Therefore, the first important thing is to be informed about the importance of termite prevention methods and how to do it in the event you have a termite problem. 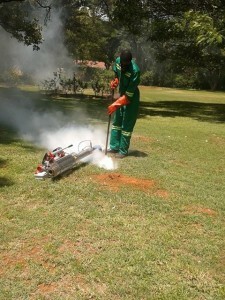 Pest Portal has invested quite a lot in termite knowledge, behaviour and termite treatment methods. The period we have been in business has helped us to learn and come up with effective termite control methods. How long you have been having the problem. The types of termites that are giving you problems. Where these termites are coming from. The extent of the termite damage to your property. Helping you understand what is happening. 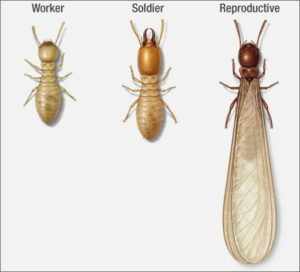 For one to effectively control termites or any pest problem, it is important to understand the source of the problem. 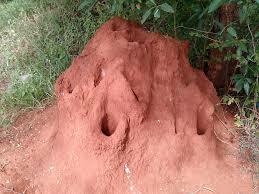 Termites come and have their home in a nest/mound/zvidzere/churu. Have you seen one in your property? If you have one, chances are that this is where your problems are coming from. At the termite mount, this is where the queen will be, breeding and laying more eggs. In Zimbabwe, the common termite nests are those of Harvester termites and white ants. From the nest, the workers will travel from this looking for food. In most situations, they end up in your kitchen, eating cupboards and house skatings. Eliminating the problems at the source at most times will stop the problems in your home. At Pest Portal, we employ a number of termite treatment methods to make sure we control and treat the termites. Once we have identified the source of the termites, our treatment method will be targeted at that source. Thermal treatment involves using a petrol powered machine that pumps some poison into the nest, therefore killing the termite queen. When the termite queen is killed, the entire colony will be eliminated. Liquid poisons and other toxins are also applied in the nest to ensure the nest will be controlled of all the termites. House skatings, cupboards, ceiling beams and house foundations are also sprayed with termiticides that will stop any further termite attack. 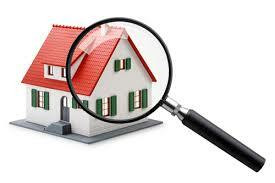 After our termite treatment, follow ups are done to ensure the methods used are working. When a nest is treated, no more termites should be seen on that nest. This means it should stop building. When it stops building, it therefore means the problem has been controlled. 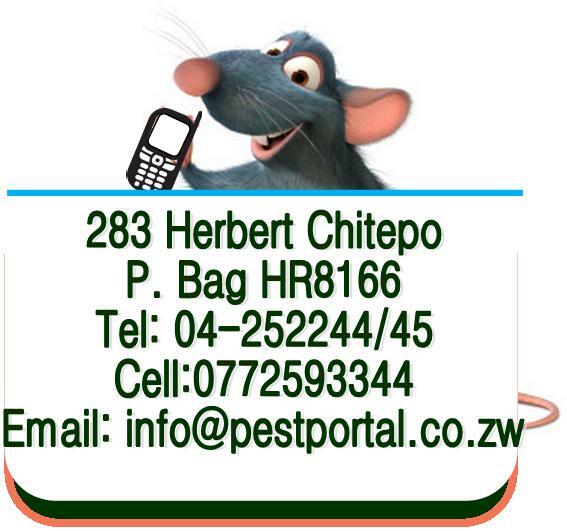 Pest Portal offers effective & guaranteed termite control and treatment services in Harare & Zimbabwe. 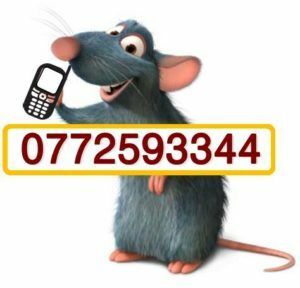 Call on 0772593344. Call us today to schedule a termite assessment free.